About Leg Rolled Cordage, and Why You Should Learn it. For many years, Tamara and I would teach leg rolling at our classes and at various primitive skills events. 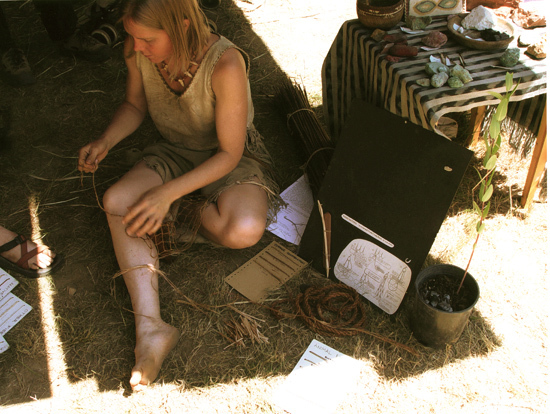 We were real excited about it and started to see the usual hand twisting taught by most books and instructors at the time, as sort of grade school level cordage making. Leg rolling was slow to catch on for some reason, but it now seems to be more common, as it should be. This short post is about leg rolling as compared to some other methods, and why is it worth learning, even if you don’t use it all the time.